1. Ostriches are the only animals with a double-kneecap. "We speculate that this might mean ostriches are able to extend their knees relatively faster than they would with one kneecap," says Harvard University Postdoctoral Researcher Sophie Regnault. 2. Kneecaps start out as cartilage. Unconnected from the rest of your skeleton, patellae start out as soft tissue and ossify into the hard, strong bones we all know by age three. 3. Frogs may have evolved the first kneecaps. In 2017, researchers from Argentina discovered primitive, soft kneecaps in eight species of frog. "One implication of the discovery is that kneecaps like this began to evolve in the Devonian period 400 million years ago," Andy Coghlan wrote for NewScientist. 4. Rare genetic disorders leave people without kneecaps. The most notable of these are nail patella syndrome and small patella syndrome. As its name suggests, nail patella syndrome leaves patients with underdeveloped nails and kneecaps. It's caused by a mutation to the LMX1B gene. 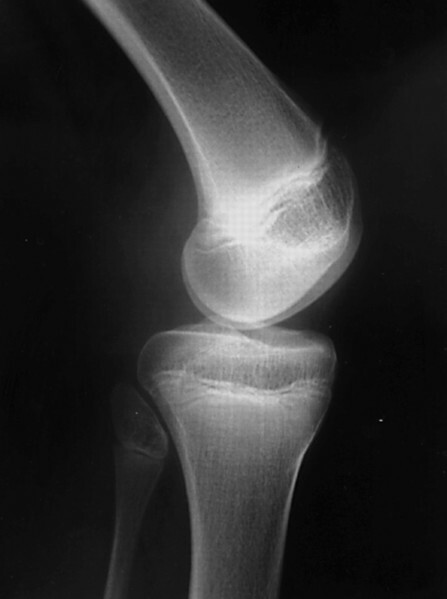 Small patella syndrome is almost uniquely characterized by tiny or absent kneecaps and results from a mutation to the TBX4 gene. People afflicted by these disorders are able to walk without kneecaps, albeit with less strength and range of motion at the knee joint. Thankfully, both disorders are extremely rare.